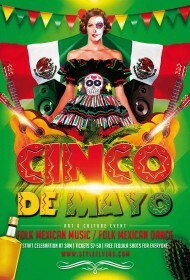 Cinco de mayo is a traditional Mexican holiday. 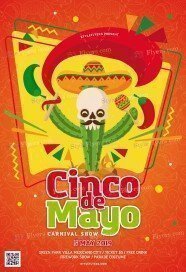 This celebration is observed to commemorate their victory over French army. 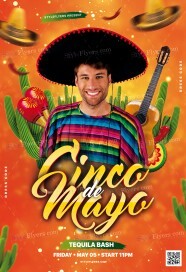 It’s a big day for all Mexican people, that’s why we decided to create a special listing of all premium Cinco de mayo flyers templates which are available for sale. 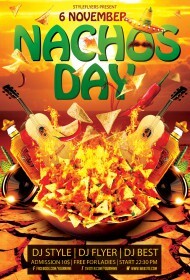 All samples are implemented in Mexican style, which allows conveying a spirit of this big occasion. We try to satisfy any taste, so you can find a great variety of Cinco de mayo Photoshop files in our new category. We are ready to meet any requirements, so if you want to have some special flyers, just hire us and we will provide you with the responsive service. 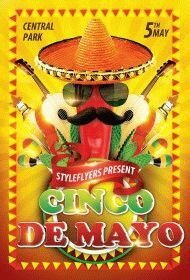 You can also buy Cinco de mayo flyer template and customize it as you like. 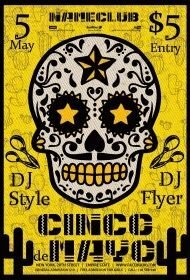 It’s very easy to customize our premium flyers. 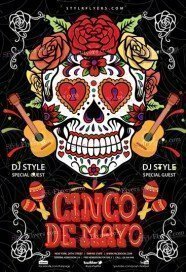 Cinco de mayo flyer is a great opportunity to promote your event online without wasting your time and money, we represent you well-finished flyers with fully-layered and well-organized structure and Facebook cover. 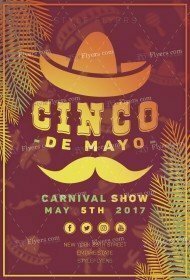 Buy Cinco de mayo flyer PSD templates at an affordable price and enjoy their high quality. All our products are unique and authentic. The original and creative design is our main priority. Watch our updates and buy our printable flyers.